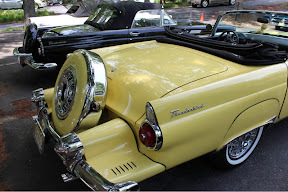 A few weeks ago, when we visited Monticello, the Thunderbird collectors club was having a car show--and Patrick and I had the opportunity to see more vintage Thunderbirds in one place than we have ever seen before. 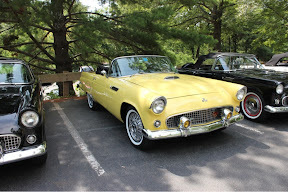 All of these convertibles make me want to hit the open road and drive down Route 66. 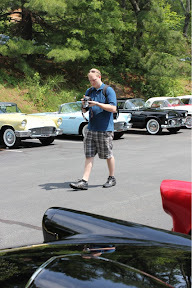 Built before interstate highways, these cars represented the ultimate freedom of the late 50's--a big engine and a fast car. 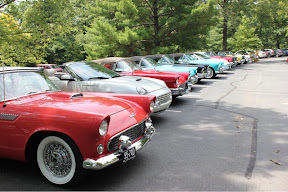 It was fun to see all of them lined up--ready to hit the road, which they did by the time we departed Monticello--it must have been really something to be along the road watching one after another of these classics motor by.